Wish your home offered more elbow room? If you’re feeling cramped, the solution might be right under your feet: your basement. In addition to increasing the value of your home, a clever basement remodel can offer significant benefits like more living space and improved functionality. However, a basement remodel is a major project. Transforming a basement often involves tasks like addressing moisture issues, moving or constructing walls, adding or upgrading windows, installing floors and ceilings, building staircases, dealing with plumbing and electrical needs, and furnishing the space. And don’t forget about the cost: HomeAdvisor reports that homeowners typically spend between $10 and $35 per square foot. Before you embark on a basement overhaul, consider the following. What Can a Basement Become? The first step of your remodel should be considering your basement’s potential. How can you capitalize on the space that your basement offers? There are tons of possibilities. Basement remodels can change an underutilized space into a den, a home theater, or a home office. Alternately, a dreary basement can become a children’s playroom, a hobby room, or a cozy apartment. Think about your needs. Would extra bedrooms benefit your family? Do you long for more room to entertain? Are you looking for a private escape from the hustle of a busy household? Then, consider the amount of space available, its features, and how the area could best be utilized. What Design Strategy Should I Use? Basements have a reputation for being dark, damp, and utilitarian. When designing the space, make a conscious effort to counteract that. Think about how you can brighten the space and add warmth to its interiors. Many homeowners find that adding windows, installing good lighting, and furnishing the space with materials that reflect light and fend off chills will create an enjoyable space. Design experts often recommend open floor plans for basements. This not only makes the space seem bigger and brighter, but also adds flexibility. An open floor plan can easily be reconfigured for new purposes as your needs and desires change. How Can I Choose the Right Furniture and Windows? When choosing furniture for a finished basement, pick quality pieces that suit your personal style and the space available. Durable materials and pieces that can be shifted around the space are generally good bets. Furnishings that double as storage space are also ideal. Basements often become repositories for a household’s odds and ends, so having places to store things neatly offers the perfect combination of livability and functionality. What about windows? They are a great way to add light, so installing windows can be a fantastic way to brighten a basement and make it seem more open and airy. Choose a style that offers the look you want, but don’t forget about practicalities like energy efficiency, ease of cleaning, and security. Did you know many jurisdictions have building codes require windows that can serve as emergency exits in finished basements? Before purchasing any new windows, investigate the requirements in your area. Building codes and rules regarding permitting vary from location to location. However, if you’ll be doing any substantial construction, making any structural changes, or completing any plumbing or electrical work in your basement remodel, it’s safe to assume permits will be required. While it may be tempting to skip permits, don’t. Getting caught completing home improvements without the necessary permits can lead to expensive fines. Unpermitted work can also be a problem when it’s time to sell the property. States, counties, cities and towns all tend to set their own rules and regulations, so reach out to your local governing agency. The people there should be able to answer any questions you have about building permits. A contractor can also take care of permits for you. Make sure that your contractor is licensed, bonded and insured. Verify that the contractor has experience with projects similar in size and scope to the one you’re planning. Get multiple bids. If any bids are significantly lower than the others, be wary. While everyone loves a bargain, a bid that seems too good to be true probably isn’t a good deal. Prioritize good value over a low price. Choose a contractor whose communication style is a good match for your needs – one who’s willing to answer questions and solve on-the-job problems. Is your basement the answer to your need for more space? 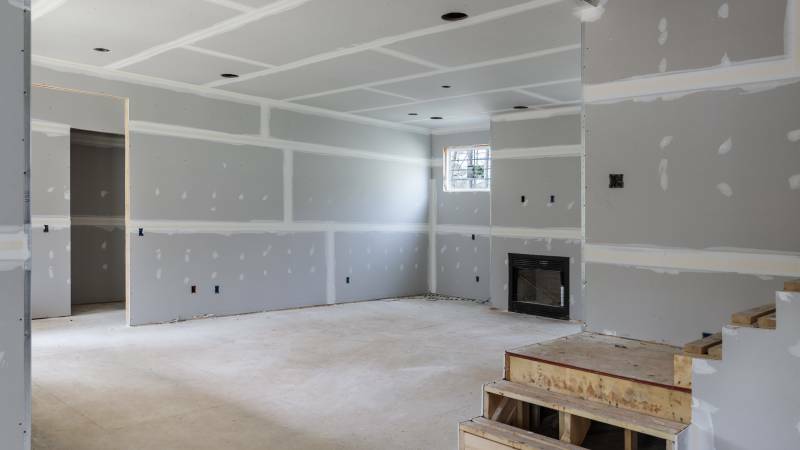 With the many advantages offered by basement remodeling, it’s a possibility worth exploring. Interested in starting your basement remodel? Start a search today.